Need a ride to the polling places on election day? 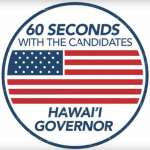 Lyft is helping people exercise their right to vote this election season by offering Hawai‘i passengers discounted rides to polling locations on Election Day, Nov. 6. Lyft passengers can claim the promo code in the Lyft app for 50% off any standard ride to a polling location. 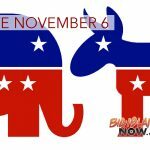 Discounted rides are available for one-way rides to polls in Lyft service areas on Hawai‘i Island, Kaua‘i, O‘ahu and Maui. The 50% discount applies to any standard ride to a polling location. For more information about Lyft’s Get Out the Vote promotion, visit online. Lyft was founded in June 2012 by Logan Green and John Zimmer to improve people’s lives with the world’s best transportation. Lyft is the fastest growing rideshare company in the U.S. and is available to 95% of the US population as well as in Ontario, Canada. Lyft is preferred by drivers and passengers for its safe and friendly experience, and its commitment to effecting positive change for the future of our cities.